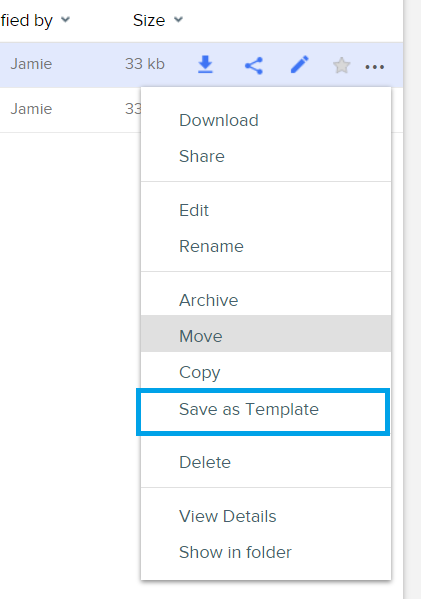 File templates allow you to turn a file into a template which can then be used to create a new copy with the same content or if you're using the Xero integration can be used with merge fields to pull client information into new files being created. 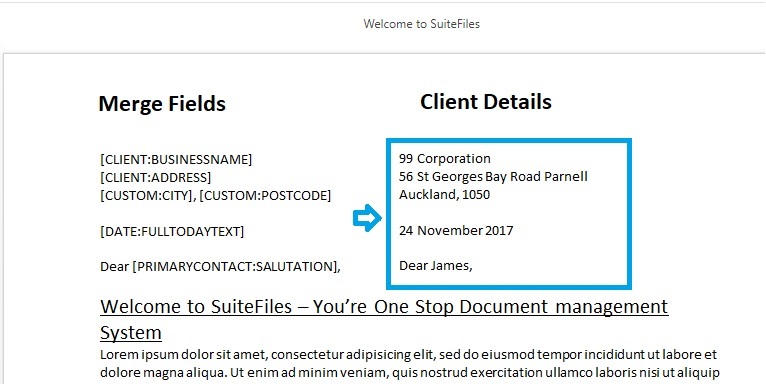 NOTE: SuiteFiles does not provide any templates. These templates are created by you to use internally. Only documents of the latest Office file type work can be saved as templates. That is . DOCX for Word and . XLSX for Excel files. . DOC and . XLS files will NOT have the option to save as a template. First you'll need a file to turn into a template, you can either use an existing file or you can create a new file in SuiteFiles. Finding the appropriate merge fields to the correct app, we'd recommend having a look at these lists of merge fields: XPM list, Xero list, Xero HQ list. While there are lists you can use to see the merge fields available, there's another really useful way to find the right merge fields to use. 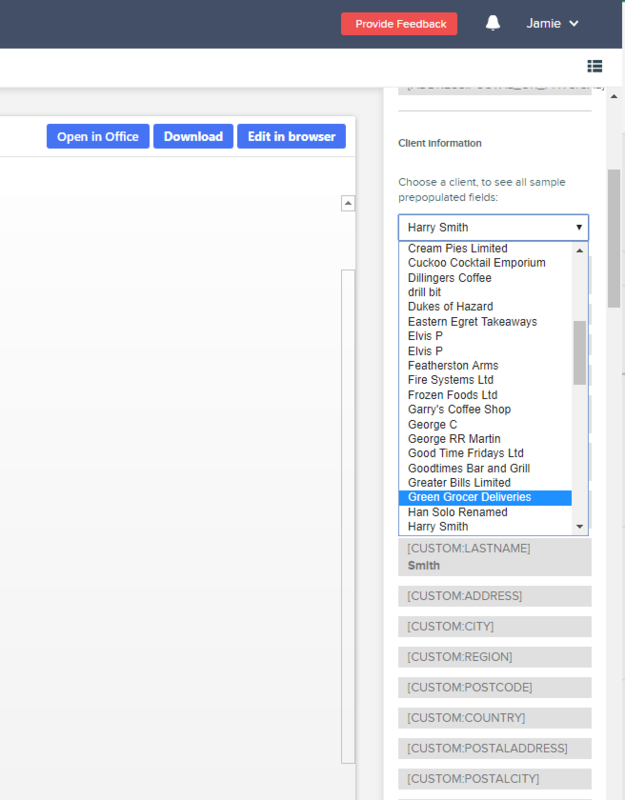 When you select a Client you will see a list of merge fields under the drop down list and these will also show the corresponding information for the client selected for that field. This provides a simple way to check which fields will fill with information for clients as well as determine which merge fields are best to use.